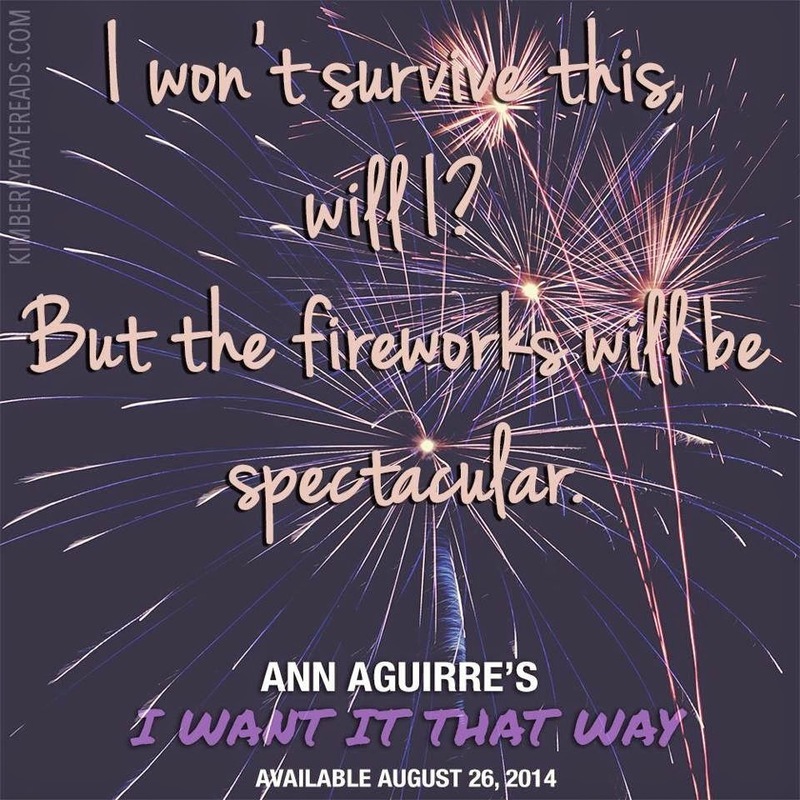 I Want It That Way by Ann Aguirre Review ~ Love.Life.Read. Reviewed from: an eARC provided by publicist--thank you!! This is an excellent addition to the exploding new adult book market. 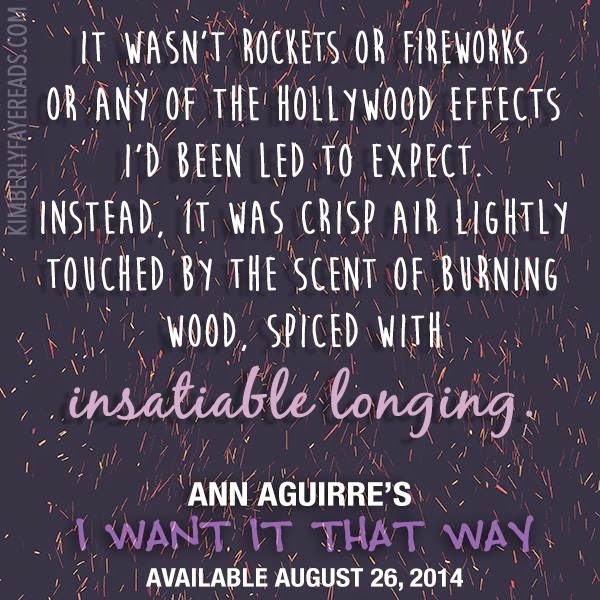 This book appealed to me on so many levels--from believable characters, to the heart-wrenching journey and the laugh-out-loud moments in between it all, this book has been one of the best New Adult stories I have read. I also love the family dynamics that were woven into the story. Nadia and her parents have a strong relationship but you can see that there is an added pressure on Nadia's behalf to live up to being the first to graduate college. There is an expectation to better herself because she knows how much her parents have sacrificed to help make her dreams come true. This has obviously led to some tension between her and her brother, Rob. Family dynamics is apart of Daniel's family as well. Of course there is Ty, his son, as well as with his supportive family. He is reluctant to explore any relationship with any woman after what happened with his ex-girlfriend. And while I do not want to spoil this title for anyone (what is the fun in that--you NEED to purchase the book and read it for yourself), you can understand why Daniel feels this way, but you want him to change his mind. 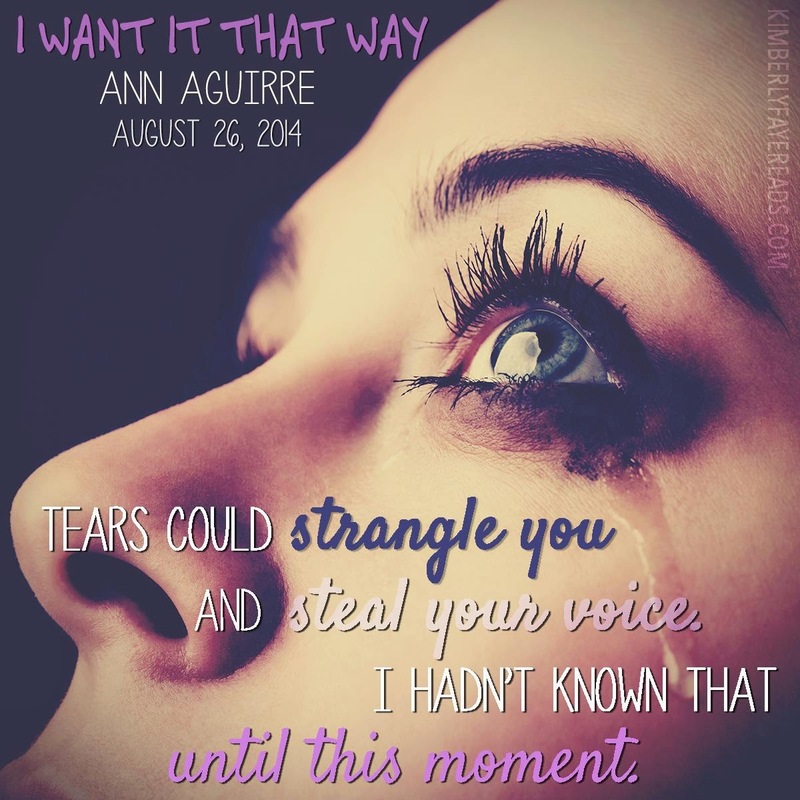 Ms. Aguirre could have taken it down a typical path but she did not and I appreciated the twist on the usual tropes. Lastly--the roommates! Nadia's roommates in I Want it That Way are fantastic. At times they provide support, a reality check and great laugh-out-loud moments that we all need in our lives. I am intrigued by them and want to get to know them more. 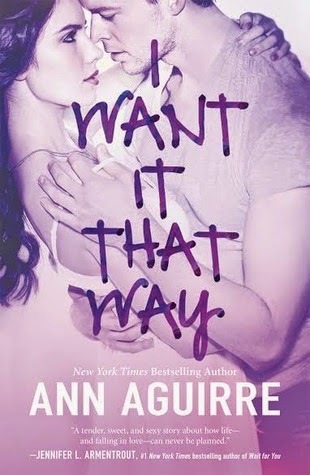 With this being the first book in a trilogy, I am looking forward to learning more about each of their stories while also hoping to catch more glances of Daniel and Nadia's relationship. I cannot wait to read As Long as You Love Me--releasing on September 30th. Life is messy and unpredictable; sometimes it's a punch in the gut, and sometimes it's so beautiful, it brings tears to my eyes.